A pulmonary embolism is a life threatening blood clot that is lodged within the arteries of the lungs. These blood clots block the flow of blood in the lungs and prevent the blood from reaching oxygen. These blockages are often sudden, although some of them will start out as small clots and then become larger as more clots travel to that area and join the original blood clot. Frequently, these clots are formed in veins outside of the lungs. The large, deep veins in the legs, especially in the areas behind the knees, are the most common location for these clots to form. When a clot forms in the large, deep veins of the body it is known as a deep vein thrombosis, or DVT. Watch this video to see a simple demonstration of how a pulmonary embolism prevents blood from circulating. According John Heit of the Department of Health and Human Services Office of the Surgeon General, in the United States venous blood clots, such as pulmonary embolism, are responsible for more deaths than either heart attacks or strokes. According to Dr. Daniel R. Ouellette of eMedicine, an estimated 60% of patients who have died in a hospital died as a result of a pulmonary embolism. If left untreated, 30 percent of patients who have a pulmonary embolism will die, many within the first hour. Who is at Risk for a Pulmonary Embolism? People are at a greater risk of having a pulmonary embolism if they are on hormone replacement therapy, using hormone based contraceptives, pregnant, were pregnant in the last six months, bedridden, a cancer patient, on a long haul airplane flight, have a clotting condition, or have a history of venous blood clots (deep vein thrombosis or pulmonary embolism). For more information about risks and ways to prevent a pulmonary embolism, see our article Preventing Pulmonary Embolisms. One of the challenges with pulmonary embolisms is that they have very vague symptoms. Many of the symptoms overlap with other diseases such as hyperthyroidism, pleurisy, or pneumonia. Sometimes a patient will collapse before any other symptoms are apparent. For these reasons, it is important that patients go to the emergency room if they suspect a pulmonary embolism. Patients also must stay informed and remain in regular contact with his or her treating physician. If a patient has one of the overlapping conditions that share characteristics with a pulmonary embolism, he or she should speak with the treating doctor about the possibility of pulmonary embolism, especially if the patient has any known risk factors. Diagnosis of a pulmonary embolism includes reviewing patient history, doing a medical exam, and reviewing any relevant tests. In order to make the diagnosis, the doctor will look at the legs for signs of DVT, listen to the chest and lungs, and review pulse and blood pressure. As part of this exam the doctor will also review patient risk factors and calculate the probability that the symptoms are due to a pulmonary embolism. As mentioned previously, many of the symptoms of a pulmonary embolism overlap with other conditions. This means that diagnosis may take multiple doctor visits. Emergency room doctors are often the doctors that make the final diagnosis. This is typically due to the fact that pulmonary embolisms can present with life threatening symptoms. In other cases, a primary care physician may send a patient to the emergency room for specialized testing due to suspicion of pulmonary embolism. Doctors can use sound waves to examine veins for blood clots known as a deep vein thrombosis (DVT). Typically this is done on the large leg veins. Gel is applied to the skin and a wand is pressed and rubbed over the skin. Sound waves bounce off internal organs and give the doctor a picture of what is inside the veins. A CT scan uses a seres of X-rays to take pictures of the body. Unlike typical X-rays, CT scans are able to see the heart, lungs, and other soft tissue organs. Dye is injected into the patient through an IV line. The patient lies on a table while the CT machine spins around the patient and takes multiple pictures. The dye shows doctors if there are any areas of the lungs in which the blood is unable to flow due to a clot. The test only takes a few minutes and results are available as soon as a doctor reviews the images. This test is able to diagnose most cases of pulmonary embolism and is one of the most common means of pulmonary embolism diagnosis. Blood oxygen levels are read by placing a little, lighted clip on a finger. Low blood oxygen levels can be a sign of pulmonary embolism. Blood tests can review what chemicals are in the blood. The most useful blood test in determining if a patient has a pulmonary embolism is the D-dimer test. The D-dimer measures chemicals that show up in the blood when blood clots break down. Doctors may also do blood tests that measure the different clotting factors in the blood or that check for inherited blood clotting conditions (thrombophilia). There are other tests that may be used in diagnosing a pulmonary embolism. These tests may also be used to look for damage that a pulmonary embolism can cause. Electrodes can be hooked to the body so that doctors can see electrical activity that occurs in the heart. Pulmonary embolisms can cause some common results to show up on an EKG. This test can also help to identify potential heart damage from the pulmonary embolism. This is an ultrasound of the heart. It can be used to detect heart damage from the pulmonary embolism and to identify blood clots within the heart. Patients inhale a radioactive substance to see how well blood and oxygen are flowing through the lungs. A specialist will thread a catheter through a large vein in the groin or upper arm area. This catheter will deliver dye to the veins in the lungs. 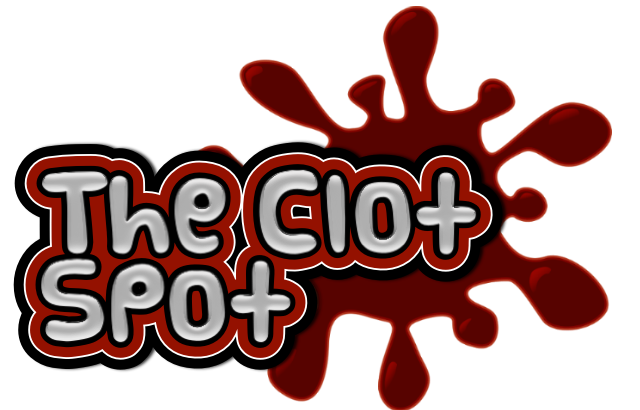 This can identify clot locations. The catheter can also be used to administer powerful clot busting drugs directly to the clots in cases where patients are severely compromised. A simple chest X-ray is sometimes able to show clots.